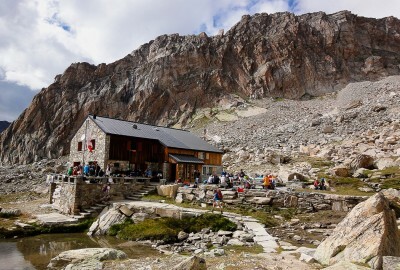 The modern and attractive Almageller hut is reached from the village of Saas Almagell within a 3 hours hike. 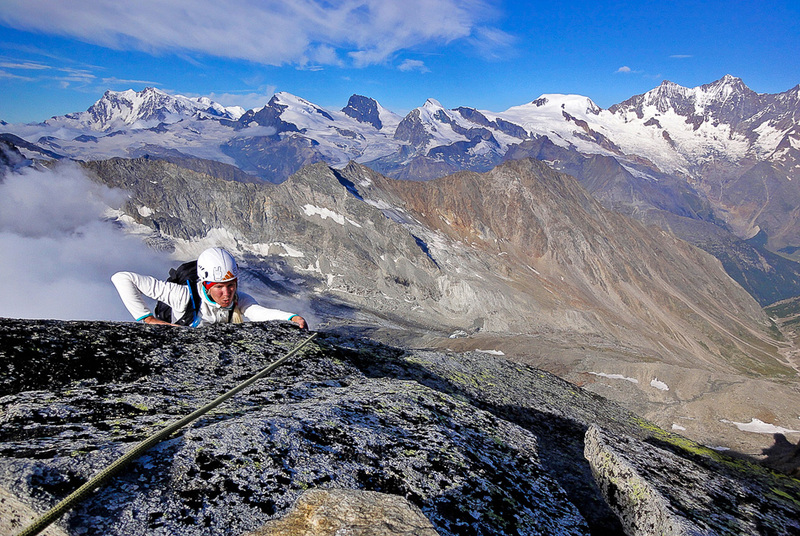 The most popular mountaineering route accessed from here is the Traverse of the Weissmies (4023m), a classic four-thousander in the canton of Valais in Switzerland. However, when visiting in the end of July 2012, we decided to prolong the visit in Almageller hut to 2 nights in order to experience one of the region’s most spectacular attractions – the Portjengrat. Much more demanding both in difficulty and length, but highly recommended for those who like a bit more excitement, and who have some previous rock climbing experience. 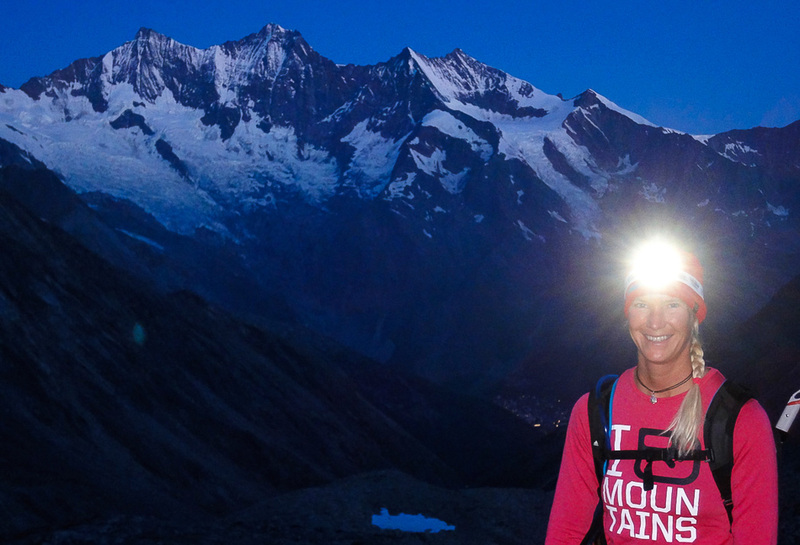 For those enjoying this 8-10 hour climb hut-to-hut, the Weissmies traverse will be a fairly easy bonus climb taking you back to Saas Grund, and making the whole outing a 3-day round-trip with a different descent. Whether hiking up towards Zwischbergenpass and the Weissmies or traversing south along the west face of Pizzo Andolla to attack the Portjengrat, you get the same view when the first morning light falls on the Michabel massif on the opposite side of the Saas valley. 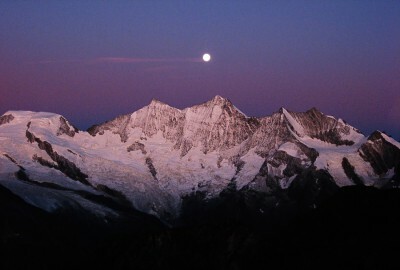 From the left: Täschorn, Dom, Lenzspitze and Nadelhorn. Portjengrat and the Weissmies constitute the border between Switzerland and Italy. From the summits you overlook the Pennine Alps to the east the Miachabel group as well as the east face of the Monte Rosa massif to the west. 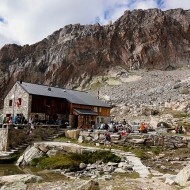 The normal 2-day outing to traverse the Weissmies gives you all you want from a classic alpine experience; hiking over alpine fields with cows and sheep to an idyllic hut, alpine start at 4am, both snow fields and rocky ridges, sun rise and panoramic scenery, as well as a big glacier crossing. A steady flow of hands and feet moving over blocks and steeper steps takes you up the rocky south-east ridge in the morning sun. 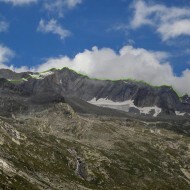 When the angle lessens the last 100 height meters to the summit, the ridge gets snowy and more exposed on a short section. 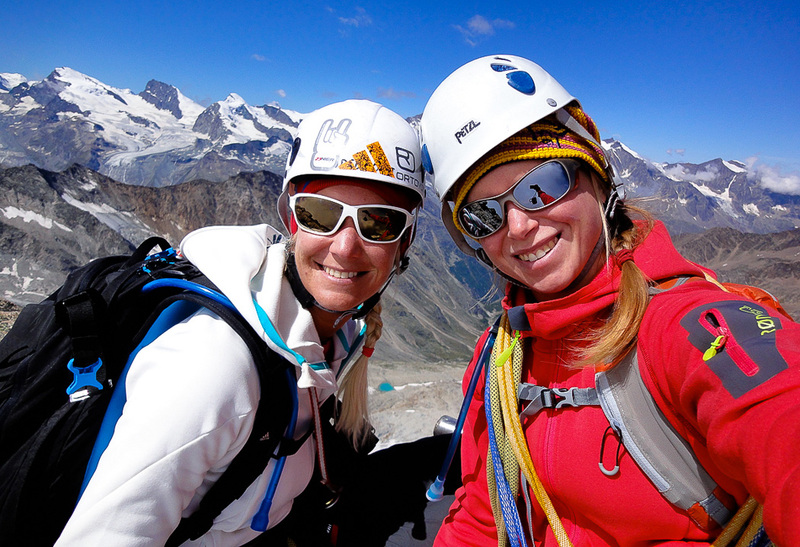 The descent via the north-west face is of a different character; ice and snow slopes with some large open crevasses all the way down to the Hosaas hut, from where the lift takes you back down to Saas Grund. 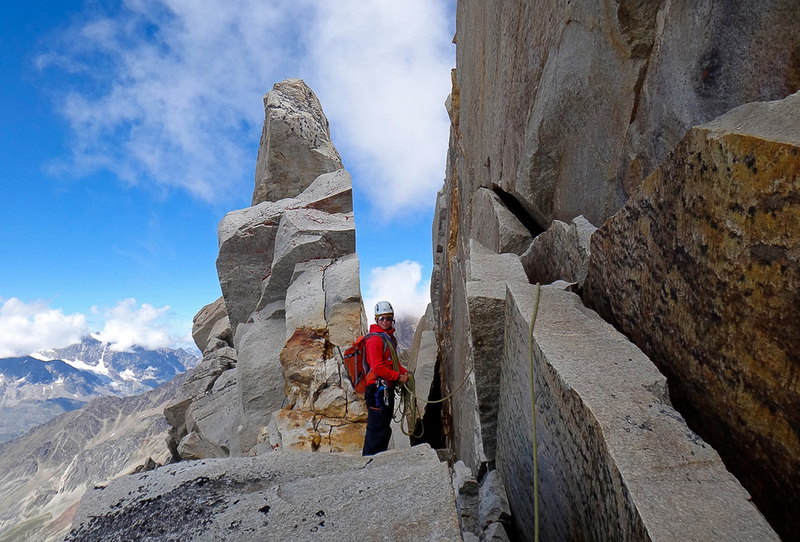 The various types of terrain on this traverse makes it a complete mountaineering adventure in the very eastern corner of the Alps’ 4000m range. 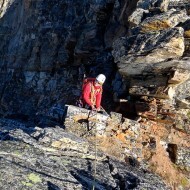 The climb is achievable for guided groups with little mountaineering experience, or private parties with basic ridge climbing skills and glacier travel competences (although putting in the track after snowfall on the north-west glacier should be left to someone experienced with the terrain). 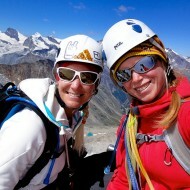 Topo and all essential information is available at CampToCamp – Weissmies Traverse. 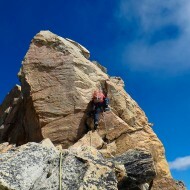 Portjengrat offers magnificent, airy climbing on solid gneiss, over and around pinnacles with almost no equipment in place. 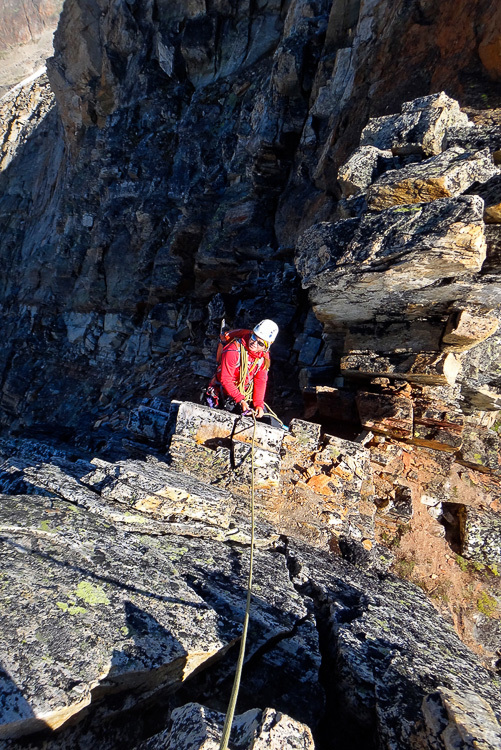 The ridge is almost 1km long of mainly sustained and exposed grade 4 climbing. 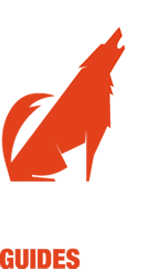 The route description of Portjegrat at CampToCamp is very helpful and accurate. The point of attack however can be done in many places. 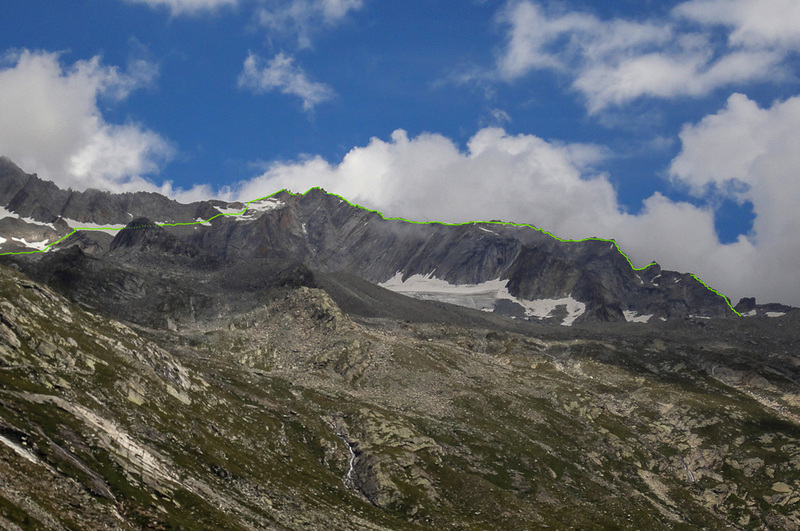 The hardest is probably up by the highest yellow arrow and the easiest a few meters below the first (lower) yellow arrow, traversing on ledges to the left. Some towers are supposed to be contoured, such as the last big one before the snowy fields (cairn on the W side), but most of the time you follow the arrete. The second part (after the snow fields) is the coolest where you often find yourself balancing on a knife edge ridge. 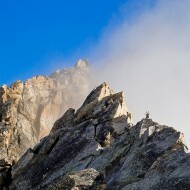 Four big towers are left to pass after the summit. 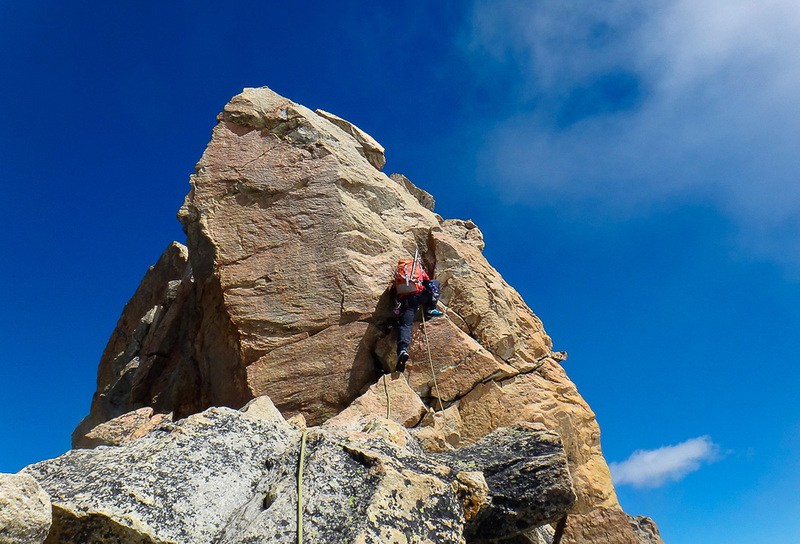 By a 15m rappel and then alternating between the equally steep east and west sides of each tower, airy down-climbing and traversing takes you through till the ridge meets the snow field on its west flank. 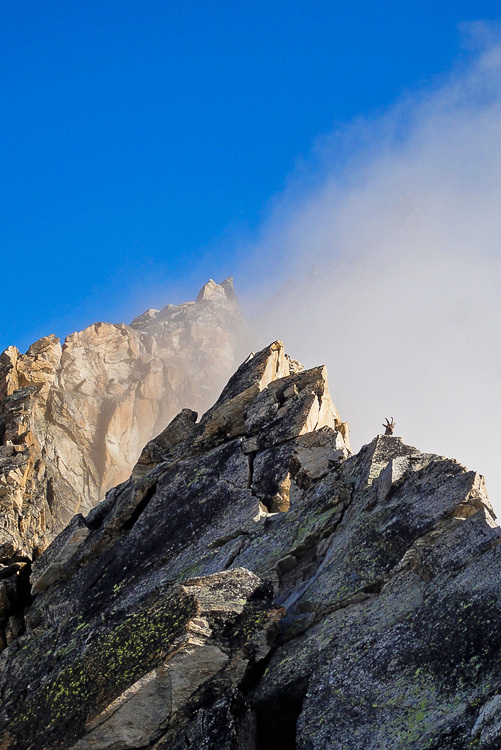 Portjengrat is probably the nicest ridge climb of it’s type in the Swiss Valais. Still it is not heavily frequented, maybe because the descent gets unpleasantly loose once the snow is gone, yet the ridge needs to be dry, so the season with good conditions is short. 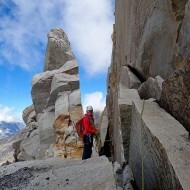 Categories: Mountaineering and Route Descriptions. Tags: Alamageller hut, Portjengrat, Swiss Valais and Weissmiess.